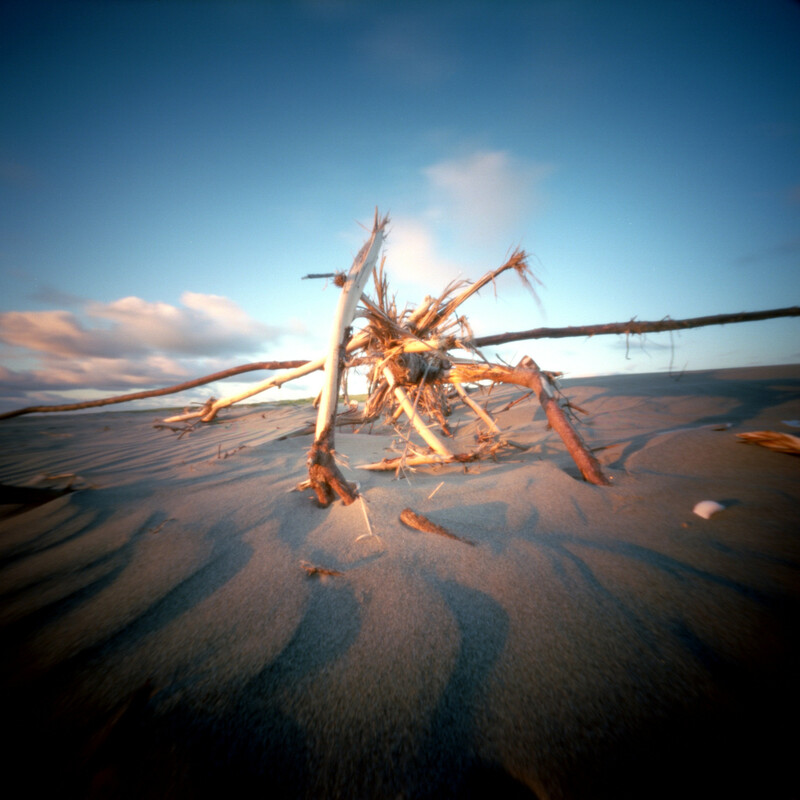 Here are a couple of photos from my first roll through the Reality So Subtle pinhole camera. The first shot is using the top pinhole, the bottom shot is using the bottom pinhole. I cropped the massive vignette out of the top pinhole shot, and I like the resulting image, much more than I like the bottom shot. 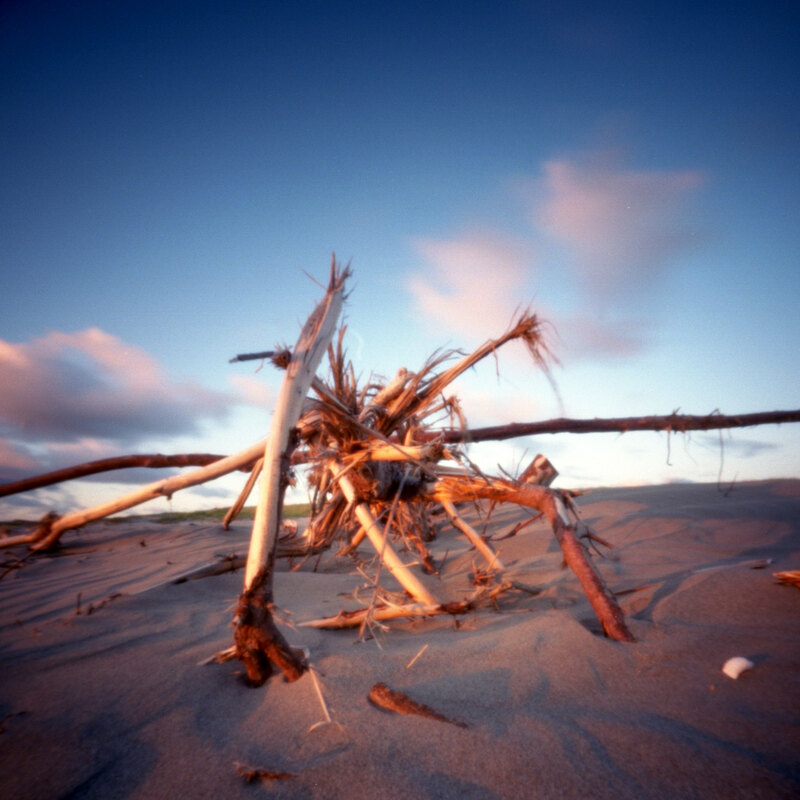 These were both made with Ektar at sunset around the Solstice at Klipsan Beach, WA. Exposure time was 18 seconds.